Did this Woman Give Birth to 69 Children? According to the 2017 Guiness Book of World Records, Valentina Vassilyev gave birth to nearly 70 children in her lifetime. Born a Russian peasant in the 18th century, she and her husband Feodor had their first child in 1725. However, within the span of four decades 68 more children would join the family with 67 of them living beyond infancy. Fortunately for the prolific mother, she only had to endure 27 labours in total. Hence, she ultimately had dozens of singleton births yet birthed 16 pairs of twins and had several sets of triplets and quadruplets as well. Although the couple are listed in record books, the veracity of the story has been questioned by experts. Reports suggest that a merchant was the one who first revealed the extraordinary tale by relating it to his family in a letter. Unfortunately a thorough investigation into the claims was never actually made. Moreover, in a 1933 article published in Biometrika by Julia Bell, the author questioned the likelihood of the story’s authenticity. In 1878, a staff member of the Academy of St. Petersburg also publicly voiced his suspicions regarding the claims. Second and third on the unusual list are a Tuscan couple who reportedly had 62 progeny and a woman from Vedensky, Russia who gave birth to 57 babies. Experts doubt the accuracy of the claims in those cases as well although neither have been discredited entirely. Accounts of Elizabeth Greenhill and her husband William’s large family appear to be the most credible of the four. 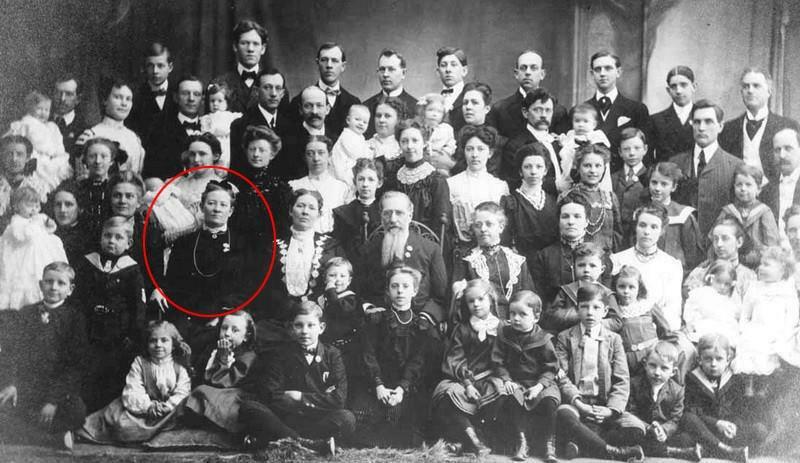 The Greenhills had a total of 39 children with all but one being single births. Born in Middlesex in the early 1600s, Elizabeth and her husband had 32 girls and 7 boys, one of which became a surgeon who apparently took pride in his unusually large family. Ultimately, the authenticity of the accounts may never be verified by historians with complete certainty. However, the fact remains that it could be true and that, in and of itself, gives new meaning to the word “supermom”.